For scholars in the field of chinese embroidery ancient and for all those who have the love of beautiful things, you will enjoy of embroidery, ancient chinese woven by the ethnic minority Miao of southern China (parts of Guizhou and Yunnan). These rare embroideries of the chinese you will not find on the sites to tourists, are negotiated in the remote villages of Yunnan by our chinese contact from him even of the ethnic Hmong people. 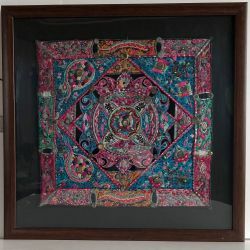 All of these reasons, geometric and other, find themselves in batik, a technique invented by the Hmong (ethnic minority in southern China and emigrated to Viet Nam in the north) before being learned by the Chinese. 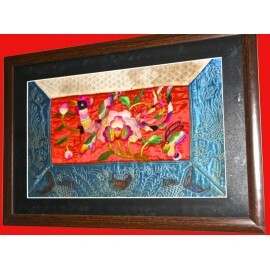 Batik is often incorporated to areas that were embroidered in a composition more or less complex. 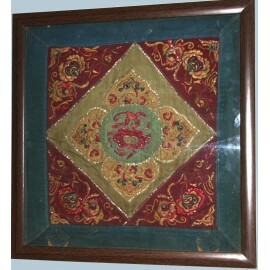 The oldest chinese embroidery ever discovered is dated there are more than 2 000 years. Embroidery ancient chinese There are 5 products.